The State Bank of Vietnam (SBV) has approved the establishment of the Vietcombank Laos Limited (Vietcombank Laos) in Laos, which is wholly invested by the Bank for Foreign Trade of Vietnam (Vietcombank). (KPL) Electricite Du Laos (EDL) signed an MoU with KEPCO, the largest state-owned company in the Republic of Korea on capacity building for Laos’ EDL. Luang Prabang, Laos’ well-known world heritage site of cultural value, has been voted among the world’s top 15 cities by readers of the influential travel magazine �Travel + Leisure’. The long lasting tradition of friendship and solidarity between Laos and Vietnam was centre stage yesterday as high ranking leaders urged peoples of the two nations to conserve and expand the relationship. Chairman of the People’s Committee of Ho Chi Minh City Nguyen Thanh Phong received leaders of three central Lao provinces – Savanlakhet, Khammuoane, and Bolykhamsai – on July 18. 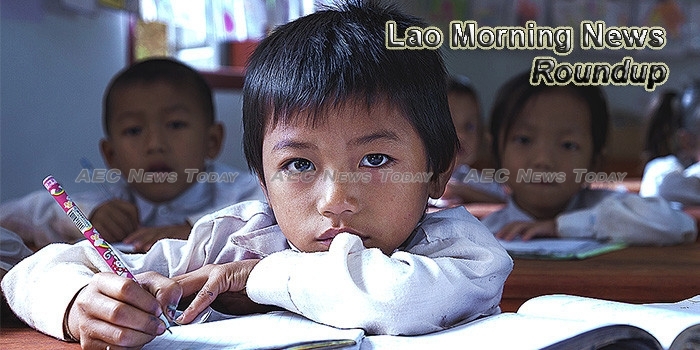 The relationship between Việt Nam and Laos is a good example of faithful friendship between two countries for over a century, a senior Lao official said on Monday.